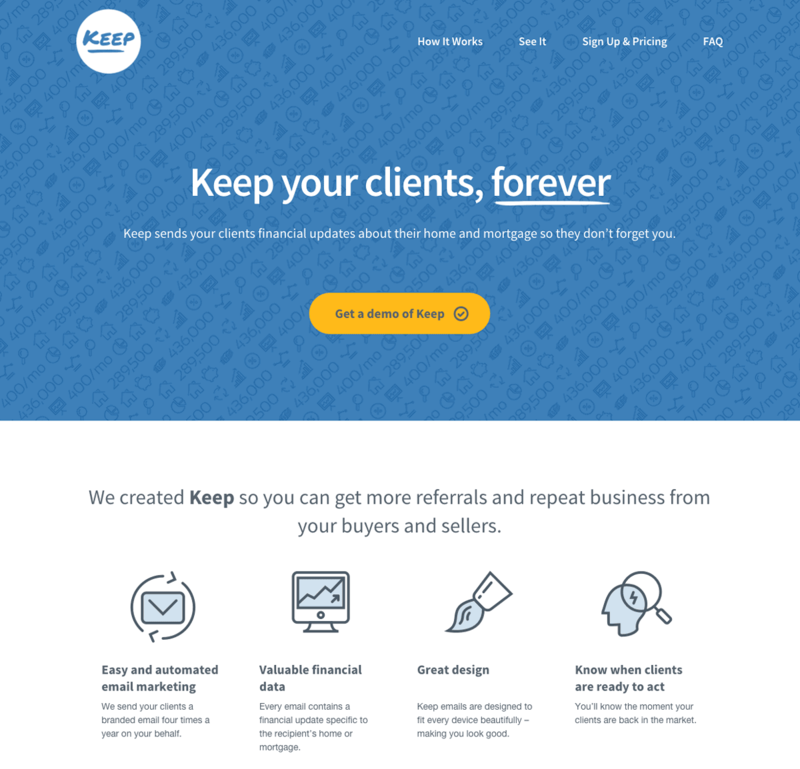 Keep – Real Estate Marketing provides a unique automated solution for real estate and mortgage professionals. It allows them to keep in touch with clients after they close on their home purchase. The technology that powers Keep also notifies the real estate or loan agent when their clients may be back in the market. Need help with your Marketing or Branding?